One of the best ways to increase your intake of fiber is to turn to whole grains (a healthy choice) versus processed grains (with the goodness depleted from them). In order to make sure that you are eating enough whole grains, you’ll need to know exactly what they are and how to find them. These whole grains can commonly be found in oatmeal, pasta, cereals, breads, muffins and much more. Another rule of thumb that you can apply when you are examining the ingredients list is to look for the word ‘whole’ before the name of the grain. This pretty much acts as a guarantee that there are whole grains in the product. Whole grains are cereal grains that still retain all of the edible parts during the food processing. When some parts are removed such as the bran, the grain can then be considered ‘refined’. In other words, something healthy has been removed from the grain and you are left with something less nutritious. In many cases you are only left with empty calories and very little in terms of nutritional value. In order to get all the healthy fiber, vitamins and minerals out of the grains we eat we need to make sure that they are whole and not refined. If you’re looking for gourmet, premium whole grains and need them in large quantities, please head over to our site now at epigrain.com. 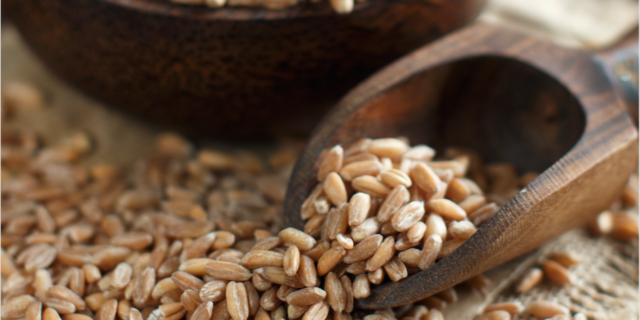 We offer wholesale pricing for bulk orders of whole grains and our delivery service is second to none. Epigrain is where to buy wholesale organic grains in bulk.